Keith Ferch, 67, of Charles City, passed away Monday, September 18, 2017 at the Muse Norris Hospice Inpatient Unit in Mason City. A funeral service for Keith Ferch will be held 10:30 a.m. Wednesday, September 27, 2017 at Hauser Funeral Home in Charles City with Pastor Russ Leeper from Saint John Evangelical Lutheran Church officiating. Burial will be at Riverside Cemetery in Charles City. Visitation will be at Hauser Funeral Home from 5:00 to 7:00 p.m. Tuesday, September 26, 2017 and will continue one hour prior to the funeral on Wednesday. 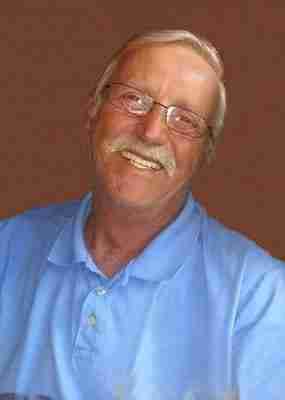 Keith Burdette Ferch, the son of Burdette and Ruth (Volbrecht) Ferch, was born November 24, 1949 in Charles City, Iowa. He received his education in Waterloo, Iowa at East High. On June 30, 1968, Keith was united in marriage to Betty Jo Hines at the Concordia Lutheran Church in Waterloo. The couple made their home in Waterloo, where Keith worked various jobs, until moving to Charles City in 1973. Keith worked at White Farm for a few years before beginning his career at Dawson Foundry in Waterloo from 1976 to 1990. Keith opened his own business, F&H Aluminum, Inc., in 1990, and although he retired, remained the President and half owner of the business. Keith was a member of Saint John Evangelical Lutheran Church and the Elks Lodge. He enjoyed hunting, traveling (especially down south where he loved to eat fresh oysters on the half shell), playing cards with family and friends and loved fishing. He and Betty had a trailer at Clear Lake that was occupied most weekends during the summer by family and friends they hosted. Keith loved his family very much, and looked forward to the quality time spent with them, especially his grandchildren and great-grandson, Lane. Living family members include his son, DeWayne (Laura) Ferch of Forest City; daughter, Angela Ferch of Charles City; five grandchildren: Danyelle (Robert) Lanenga of Charles City and Alyssa, Brandon, Kelsey and Madison Ferch all of Forest City; great-grandson, Lane Lanenga; sister-in-law, Marilyn Bork of Evansdale; along with many nieces, nephews, other family members and friends. He was preceded in death by his father, Burdette in 1978; mother, Ruth in 2011; wife, Betty on May 5, 2017; brother, Philip Bork in 2009; sister, Phyllis Gifford in 2013; and brother, Randy Ferch in 2014.